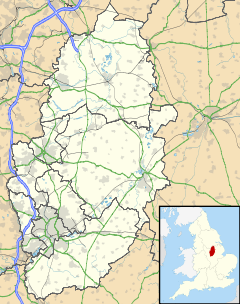 Forest Fields is an inner-city area of the City of Nottingham in the county of Nottinghamshire, England. Forest Fields is slightly north of the city centre just past The Forest recreation ground. The area includes 31 roads from Noel Street (Asda), to Nottingham Road (NCN Claredon, Sherwood Rise practitioners, Djanogly Sixth Form) and from Gregory Boulevard to Gladstone Street (Basford factories). The areas that surround Forest Fields are New Basford, Sherwood Rise, Hyson Green and Radford. Berridge Road in Forest Fields is one of the main streets in Nottinghamshire for Asian shopping. The main shops on Berridge Road include the Seehra Saree Centre, Eastern Fashions, Adnans Sweet Centre, Mizan Book Store, a grocery store, and the vegan/vegetarian bakery the Screaming Carrot. It is also home to the Djanogly City Academy on the site of the former Forest Comprehensive School. Nearby is NCN Clarendon, run by New College Nottingham. There are also several primary schools, including Scotholme Primary and Forest Fields Primary School. It used to be Forest Fields Grammar School, and previous to 1954 it was High Pavement Grammar School. Along Noel Street is a charitable organisation called Asian Women's Project. On Gladstone Street is the Sumac Centre, a co-operatively owned, non-hierarchical social centre. There are a number of community groups in Forest Fields, including a residents group, Forest Fields Improvement Association, NG7 Food bank and since 2012 the Nottingham Solidarity Network. Past groups include a transition initiative called Transition Forest Fields. The Sumac Centre is home to a number of groups, including the Forest Fields Social Club and Veggies Catering Campaign. The centre also has a weekly people's kitchen, a bike repair shop, a free shop, a library and a book shop, as well as being the base for the Sumac Youth Club, a group formed by the Robin Hood Solidarity Group to work with 7-15 year olds in the local area. Nearby churches include St Stephen With St Paul's Church. Forest Fields is listed in Mixmag as one of the places to be in the 90s due to the massive amounts of warehouse and squat parties that took place there. A number of early releases by Tindersticks were recorded in Forest Fields. Although mainly set in the Radford part of the City, a lot of Alan Sillitoe's books mention streets from Forest Fields. ^ "Spotlight on... the NG7 Food Bank". Nottingham CVS. Archived from the original on 4 March 2016. Retrieved 21 March 2014. ^ "NSN homepage". NSN. Retrieved 21 March 2014. ^ "Transition Forest Fields homepage". TransitionFF. Archived from the original on 25 October 2011. Retrieved 21 March 2014. ^ "Sumac Centre Groups". Retrieved 19 April 2018. ^ "Veggies Catering Campaign". Retrieved 19 April 2018. ^ "Sumac Youth Club". Retrieved 19 April 2018. ^ "Robin Hood Solidary Group". Retrieved 19 April 2018. ^ "St Stephen With St Paul's Church". Retrieved 19 April 2018.